My Favorite Cute, Fun and Unique Ceramic Cookie Jars for Sale! Cookies make the home a better place! I am in a ‘cute cookie jar’ mood today! Cute, fun and colorful ceramic cookie jars make wonderful gift ideas for anyone, anytime! 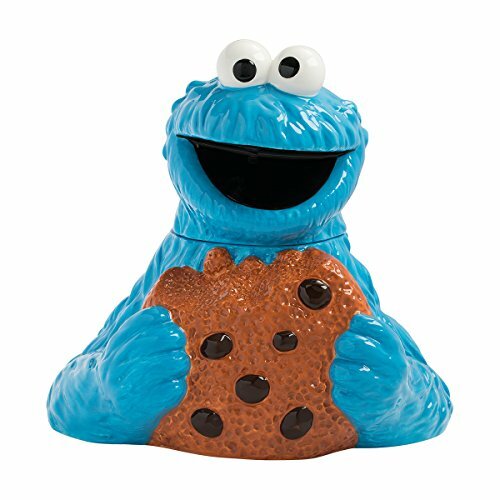 Most people love to eat cookies, and what better way to store them than in a fun cookie jar? I love buying them for my friends and family members! Last year I bought a beautiful Fred and Wilma Flintstone ceramic cookie jar as an anniversary gift for my dear friends! They loved it and placed it in their living-room! 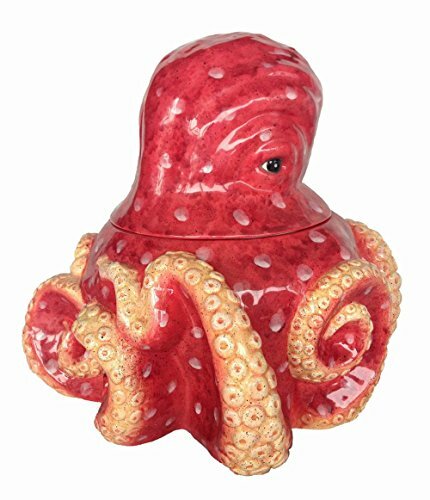 *By the way, how absolutely unique is this red octopus ceramic cookie jar in this picture? I gathered here on this page my favorite ceramic cookie jars for sale in all colors and shapes! Let’s bake some cookies first! Fun Animal Shape Cookie Jars for Sale! 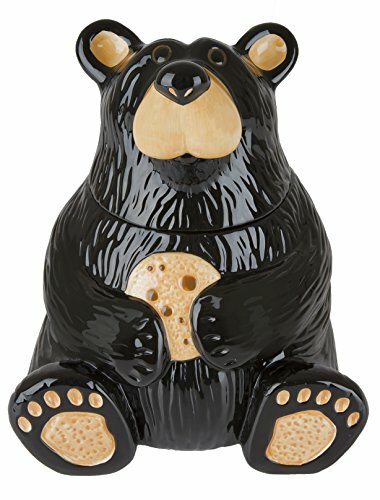 How cute, fun and unique is this adorable black bear cookie jar for sale? A happy buyer said it’s large enough to hold all her fresh-baked delicious chocolate chip cookies! 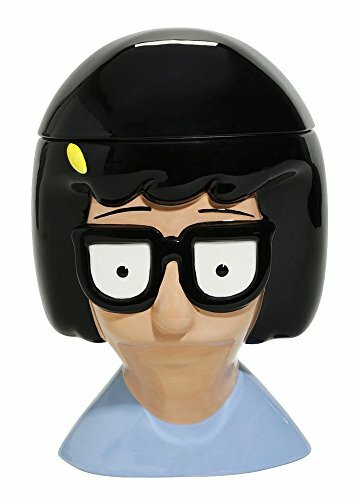 How Fun is this Tina Belcher from Bob’s Burgers Cookie Jar? Have you ever seen a Tina Belcher cookie jar before? 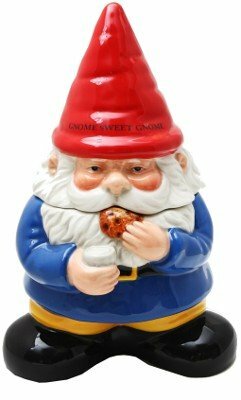 I had to show you a cute gnome cookie jar too! Isn’t he the most adorable cookie jar you’ve ever seen? It is very large too, at 10 inches. 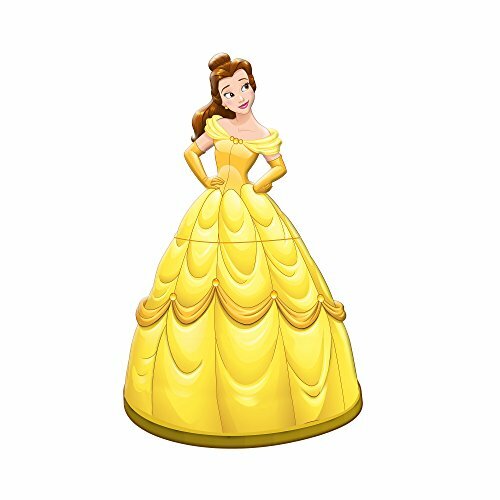 It’s a Belle Cookie Jar! Did we just die and went to cute ‘cookie jars’ heaven?? Look who’s here bearing cookies! It has a beautiful, glossy color and she is big too, at 1o inches! Will definitely fit a lot of cookies inside! What a great gift idea for anyone who also loves Disney stuff! 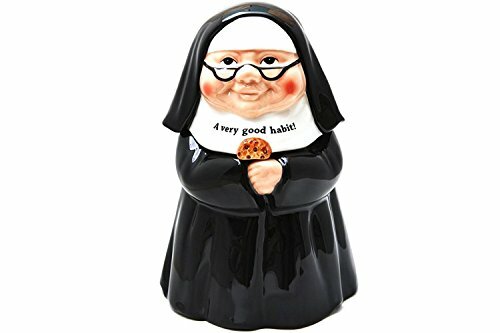 Check out this fun nun cookie jar! She always has a freshly baked cookie for you! At any time! She is absolutely adorable and will put a smile on everyone’s faces! Fun and Colorful Romero Britto Teddy Bear Cookie Jar! 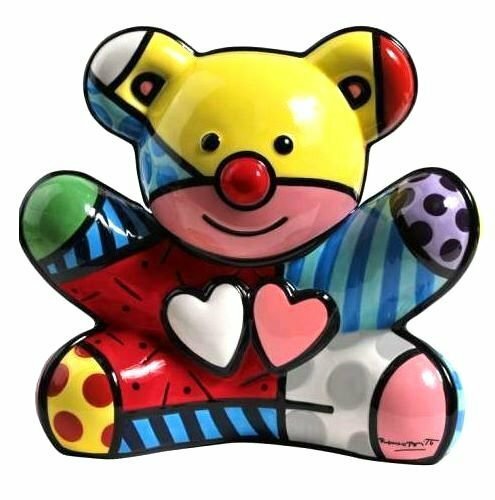 If you are familiar with Romero Britto stuff, you will immediately recognize this fun and colorful ceramic teddy bear shaped cookie jar as his work! He makes the most fun stuff in the most vibrant colors! Will look great in your kitchen or dining room! 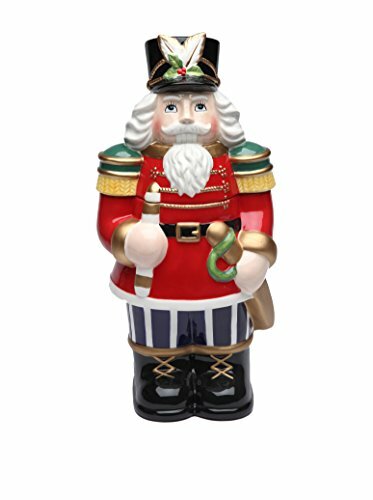 Then you are going to love this gorgeous and very tall Nutcracker cookie jar for sale! Will make a wonderful Christmas gift idea for someone! Very COOL Chewbacca Cookie Jar! 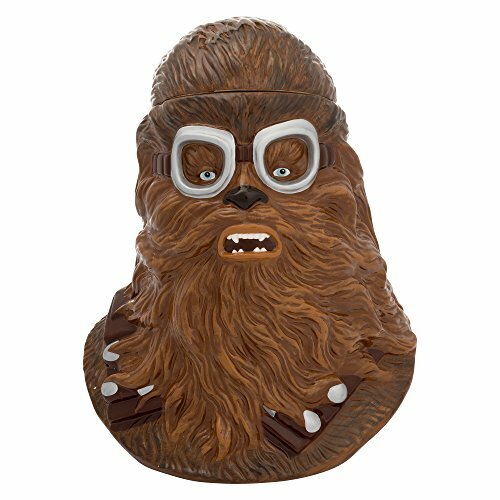 I have never seen a Chewbacca shaped cookie jar before! Will look great on your dining table. Cute Christmas Cookie Jars for Sale! I can’t help but say ‘Wow!’ again! 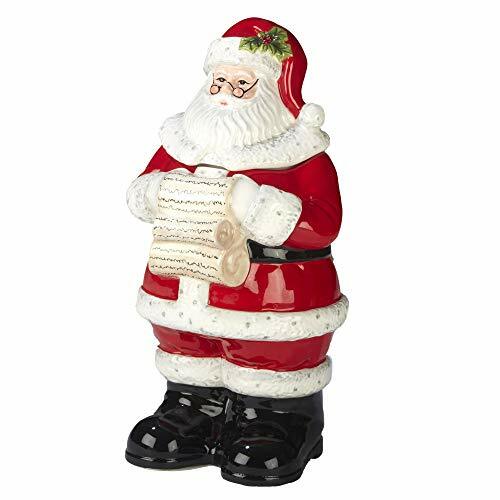 This is a stunning Santa Claus cookie jar! It will definitely complete your Christmas decor! Perfect to have him standing on your dining table or credenza! So fun! What a wonderful Christmas gift idea it will make! 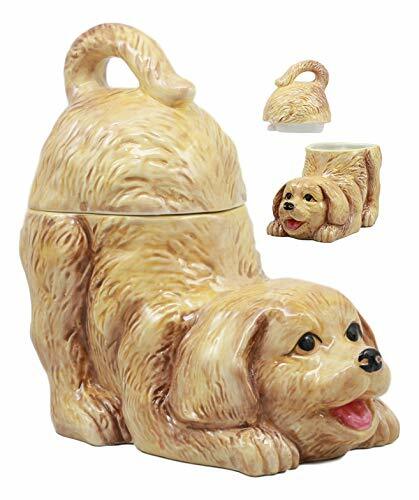 This adorable Golden Retriever shaped cookie jar is my ultimate most favorite ceramic cookie jar for sale! It is highly-detailed and just perfect for any dog lovers! It has a beautiful three-dimensional design and the most beautiful colors! Great cookie jar for collectors. 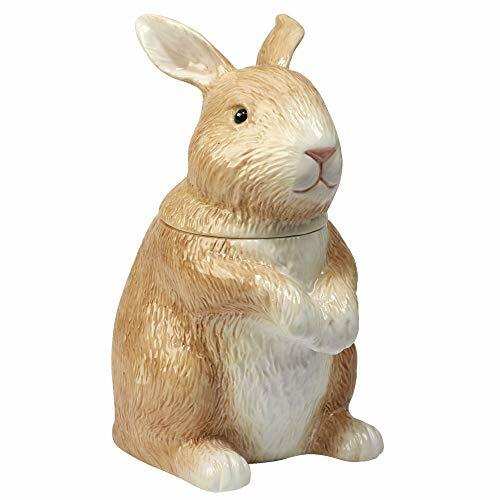 I had to show this adorable bunny shaped ceramic cookie jar! He is beyond cute!